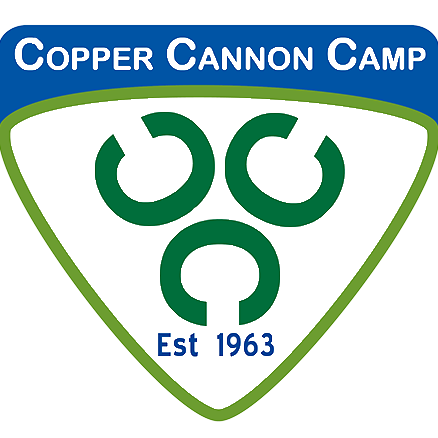 Copper Cannon’s Ranger Week is the perfect place where teens age 13-15 can still enjoy all of the summer camp experiences you get as a kid but on a more mature level designed specifically for teenagers like you. 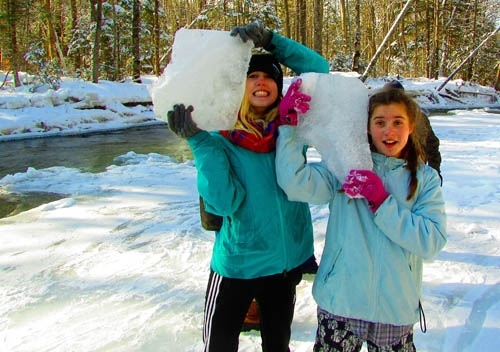 Ranger Week features a lot of the great activities that people associate with summer camp, such as archery, swimming, hiking, arts and crafts, campfires, nature classes and so much more. But there are also added surprises for Ranger Week that the younger campers don’t get. The Mr. and Mrs. Copper Cannon Pageant is always unforgettable, and Rangers have the chance to get out and do some big-time hikes and see some big-time sights. Not to mention the fact that Rangers have a later lights out time than the younger weeks of camp! In a time of your life filled with all sorts of pressures, now is your chance to spend a week of freedom, fun and friends with no pressure at all. Copper Cannon is always a place where you can be yourself and feel right at home. Here is a sample daily schedule so that you can get a feel for the types of things you’ll get to experience during Ranger Week. Keep in mind every day is different, there are always surprises and these schedules can change at any time! What better way to enjoy camp and see the White Mountain National Forest than from the seat of a mountain bike? You’ll learn useful skills during the program, including bike maintenance and trail navigation. After you’ve mastered the basics, you’ll try out your skills on some of Copper Cannon’s great biking trails. Then, you and your fellow campers will have the opportunity to ride on bike trails around the White Mountain National Forest. RHA Backpacking is for our campers that can’t get enough of hiking. This is your chance to hit the hiking trails and see what it’s like to live out in the wilderness. You will carry everything you need on your back, so be prepared for some physical fitness. Campers will start the week out learning outdoor skills such as fire building and navigating with a compass. The first couple of days, you will have the opportunities to check out some of the coolest day hikes in the White Mountain area. You’ll get to see some mountains, waterfalls, lakes and more. Then, you will hit the trails for a multi-day backpacking trip through the national forest. No previous mountain biking experience is required for the Mountain Biking Adventure. However, we recommend that participants at least have an interest and a desire to learn and get better at mountain biking. Plenty of time will be spent learning about the bikes and riding on the trails, and a good attitude is essential. You also do not need a bike; Copper Cannon Camp will supply the mountain bikes for the program. The one-week RHA programs involves camping out in the woods each night (mostly at camp) and several days of extensive hiking. No previous backpacking experience for this session is required, but a good attitude and a willingness for exploration and roughing it are absolutely essential. Participants don’t have to be world-class athletes, but participants should be in good shape. Above all, a good attitude and a willingness for adventure is absolutely essential for these programs. There might be bugs, mud, hiking in the rain, storms, uncomfortable nights in rough wilderness, etc. But, the experience and friendships that are formed are absolutely unforgettable. Attention Parents! Please do not “surprise” your kids by signing them up for the RHA or MBA programs without letting them know about it first. If you have any questions about the RHA programs, please do not hesitate to contact us. Our Last Chance Camp program is a great opportunity for our older campers who aren’t quite ready to say good-bye to Copper Cannon Camp quite yet. 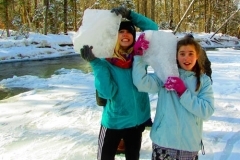 This week coincides with our traditional residential summer camp for ages 9 to 12. Because of this, our last chance campers are able to take on a leadership role while still having all the fun they had when they were younger. As a last chance camper, you get to camp out at Ranger Outpost all week. In addition, you will get to experience a full day of mountain biking, a full day of canoeing and a full day of hiking. You will also get to participate in the regular Copper Cannon activities such as skunk, team building exercises, Gaga, arts and crafts and so much more. 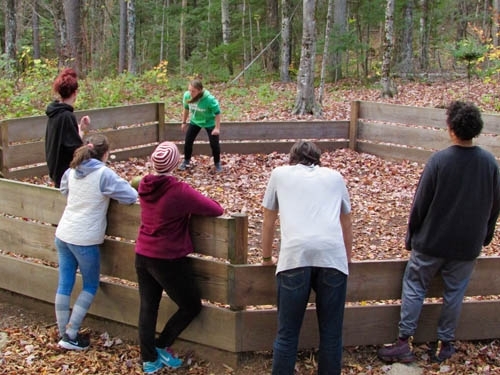 Our teen leadership retreats are a chance for our teenage campers to reconnect with their camp friends and to develop leadership skills. Our retreats take place in the off-seasons (fall, winter and spring). The weekend retreat includes a series of workshops and team-building exercises. 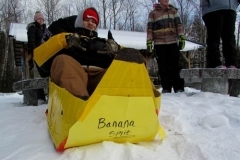 Activities vary depending on which season the retreat takes place. We might get to jump into a pile of leaves during the fall retreat. 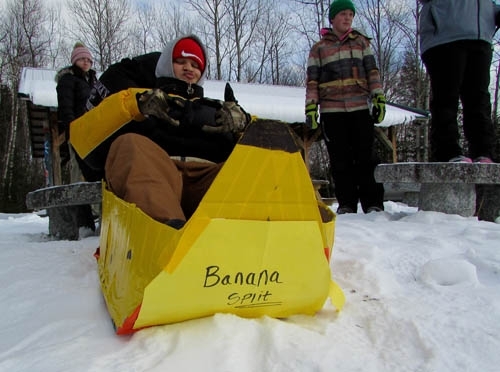 During the winter retreat, we might do a bit of sledding in the Sand Pit. The spring retreat might involve planning out the garden.